Reason being is that I can only post so much bad poetry before my eye twitches and it just did. SO! 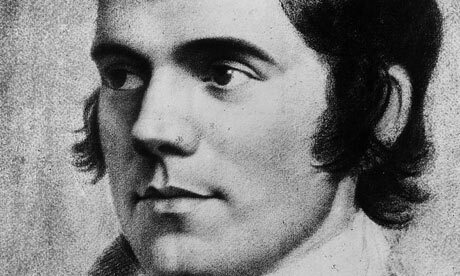 Today we have a lovely poet and one that is near to my heart because he is the beloved Scotsman Robbie Burns (or as they say in Scotland Rabbie). If thou wert there, if thou weret there. If you were in that cold blast of wind on the other side of this building that made my cloak whip around crazy like I would have sheltered you [despite his cloak being whipped about]. If not in that crazy winter storm, where the wind was whipping about, your shelter should be my heart and I’d share it with all [sort of makes him sound like a philanderer (which he was, er, or rather gave his love to many women…)]. If I were in the wildest waste [craziest state? wildly wasted? this is a little unclear to decipher], so black and bare, if the desert were a paradise and you were there and I were the king of the world with you to reign, the brightest jewel in my crown would be my queen. So, what IS he talking about? The weather or love? Both? 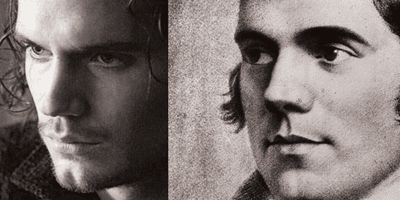 And one more thing, is it just me or does Henry Cavill look just like Robbie Burns? ?